If you are looking for a great beach holidays, you shouldn’t miss visiting Palanan, Isalabela – it’s one of Isabela’s best kept secrets. This popular travel destination is one of the best spots here in Cagayan Valley. This awe-inspiring place will truly captivate you, your loved one’s and friends with its wonderful beach and breathtaking views. Palanan is a remote and now it’s a first class mysterious municipality because of its inaccessibility and many natural wonders, located in the province of Isabela, Philippines. Palanan is known as the place where General Emilio Aguinaldo made his “Last Stand” in 1901 against American forces. The Republic’s first President found refuge in Palanan. Palanan, a mixture of Ibanag, Spanish, Tagalog and the indigenous Agta or Dumagat language is the town’s dialect. one can freely interact with the Agta’s which makes the trip to this island more interesting. The Agtas are semi-nomadic tribes roaming the Sierra Madre Mountains and leaves along the lean-tos along the river and seacoast. Nestled in the farthest eastern corner of the province of Isabela, covered by the Sierra Madre mountains, and surrounded by the waters of the Pacific Ocean, Palanan is also rich in natural resources such as corals, marine life, and forests. 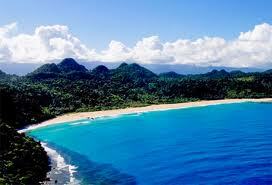 Palanan attracts adventure seekers to its beautiful beaches that are said t0 rival world-famous Boracay Island. White sand beaches are found in Dicotcotan in Barangay San Isidro and the hypnotic white sand beach of Didadungan and it’s been considered as a Virgin Island, probably Isabela’s best kept secrets. Other interesting Eco-tourism spots or natural wonders include the Palanan River, which has clear and potable water, the Diminalno Lake, Digoyo Lake, Kanasamuan cave, Disangkilan and Sad-sad falls, and Culasi beach. A lot of natural attractions to see which makes the trip to this remote town time well spent. 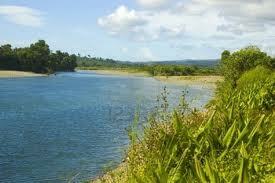 However, adventure seekers need to have a lot of patience to find this place. In the absence of direct road access from adjacent t0wns, Palanan can 0nly be reached by a 30-35 minute flight in a six-seater, single engine Cyclone Cessna commuter plane from Cauayan City or a 6 – 7 hour boat ride from the towns of Dingalan or Baler in Aurora province, in the south, or a three to five day hike from San Mariano town. Except for some tricycles, a few horses and improvised three-wheeled motorized “kuligligs”, the streets of Palanan are empty most of the time.